Ever since the Apple iPhone came out, a whole slew of applications has been created and released for the device. When Facebook Connect first launched for the iPhone in March, we said that it would “[open] up many new avenues for developers (and users).” Indeed, Facebook Connect means that iPhone developers have access to rich social graph and profile data from Facebook, and can build applications that leverage status updates, profile data, and friend information. 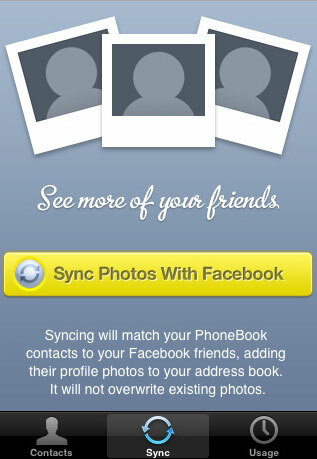 Toward the end of March we brought you a list of some of the great iPhone apps taking advantage of Facebook Connect. Since then, many more developers have jumped on board and added support for the technology. You’ve got Facebook friends, and you’ve got iPhone contacts, and there’s likely overlap, so PhoneBook brings the two together. The free app from Somo Enterprises lets you sync your Facebook account with your iPhone, and create a visual phonebook of your Facebook friends using your friends’ photos. Whenever you want to call or text message one of your friends, you can just load up the application and click on your friend’s picture. The application can also tell you how many minutes or text messages you have left in the current month on your calling plan, but unfortunately, it currently only works for AT&T customers in the US. 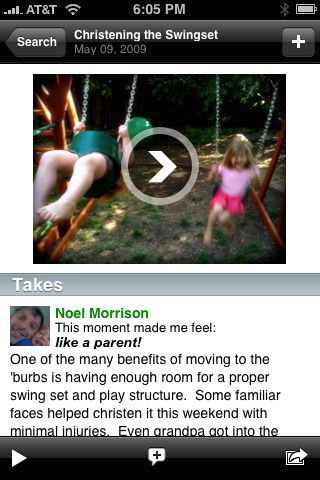 ThisMoment is a unique application that lets users author “moments,” which are mashups of text, photos, and videos drawn from Facebook, YouTube, Flickr and elsewhere. The site utilizes Facebook Connect for sign up, and the ThisMoment iPhone application allows you to create moments using local iPhone assets and then share them back out to your friends using Facebook Connect. Everyone has heard stories about famous discoveries, songs, policies, and ideas for companies scribbled on the backs of cocktail napkins. It’s hard to say how many of those stories are true — maybe none of them, but the back of a napkin idea has a certain cultural cachet nonetheless. 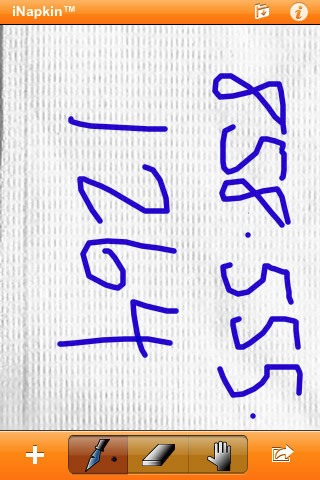 iNapkin is a neat note-taking application for the iPhone that brings cocktail napkin scribbles into the digital age. The application uses Facebook Connect to let you share your notes, doodles, and brilliant ideas with your Facebook friends. 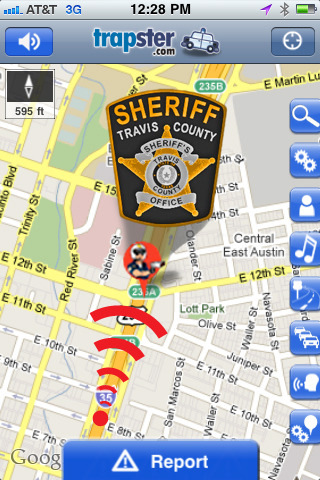 Trapster uses the power of crowdsourcing to alert drivers to speed traps, police cameras, and check points. While the ethics of using an app to help you drive faster than the law allows is up for debate, the application is undeniably popular with over 600,000 users on the iPhone alone. And now the app has Facebook Connect integration, so you can publish traps you see to your Facebook mini-feed to alert your friends. You can also publish trips you take to Facebook, so your friends can see what you’re up to and where you’re traveling. It can be difficult to find someone at a place you’ve never been or in a large crowd. We’ve all heard something like this before, “I’m sitting next to the woman in the blue tank top and to the left of the second big tree.” Say what? Find My Friend is a new application that attempts to solve this problem using both Facebook Connect and the new iPhone 3.0 Maps and GPS features. 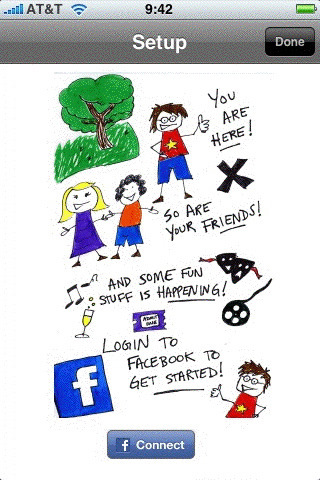 Once you connect to Facebook, you can invite your friends to link up with you. If they accept, the app goes to work using the iPhone’s GPS and Google Maps functions to guide you to your friend. Of course, this app will only be as accurate as the iPhone’s built in global positioning system, but still, it’s a neat idea and a cool use of Facebook Connect. LuckyCal helps you find your Facebook friends and fun stuff to do while you’re on the road. Simply login to Facebook via the app’s Facebook Connect integration, then let LuckyCal access your social graph and find friends who are nearby. The app will also suggest events happening in the area that match your interests. 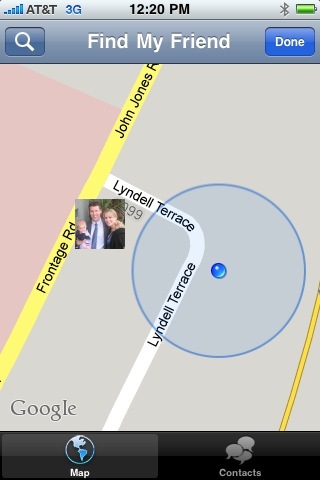 Because the app uses the iPhone 3.0 GPS, you never need to tell it where you are. Scrabble maker Hasbro made waves last year when it asked Facebook to remove fan favorite Scrabulous — a very well made Scrabble clone game that had become hugely popular on the social network. Since Scrabulous shut down, Hasbro has been trying to make amends with fans by releasing not only a slick Facebook game, but also a great iPhone version that connects to Facebook so you can challenge your friends wherever they play. Slide’s Top Friends app, which essentially allows users on Facebook to designate a handful of users as their best friends (yes, like you can on MySpace), was one of the first big applications on Facebook and remains extremely popular with over 12 million monthly active users. The free iPhone edition lets you connect with Facebook to view your Top Friends on the go on an interactive map, SuperPoke them, and email, SMS, or call them. 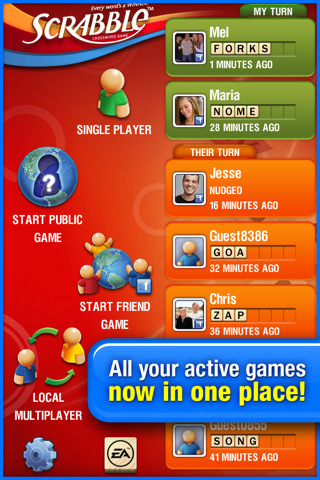 Scramble is a great word game from Zynga. It plays a lot like the classic board game Boggle, in which you search for words in a grid of letters, but takes advantage of the iPhone’s touch screen beautifully letting you swipe over letters to form words. Scramble also lets users connect to their Facebook accounts to challenge their friends over the social network. iFightU is a really innovative iPhone game, not because of the gameplay — that’s just classic side-scroller fighting game fare (think Street Fighter), and not all that impressive — but because it puts your friends in the game. 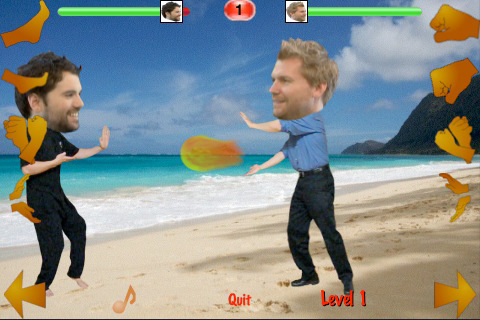 Using Facebook Connect, iFightU lets you grab photos of your friends and attach their faces to the characters that fight in the game, which makes everything a lot more fun. internet marketing for the best site face book…this is a small business on net online network ..many site provide facility for social media marketing…thanks for sharing.. good photos ..